Emory’s top university governance groups have contacted Capitol Hill about tax reform legislation under deliberation in the U.S. House and Senate — individual bills advanced by both bodies that include provisions that would negatively impact higher education. In letters sent to U.S. Senators Johnny Isakson (R-Ga) and David Perdue (R-Ga) and all Georgia members of the U.S. House of Representatives, Emory’s University Senate and Faculty Council express serious concerns about the treatment of higher education in both bills. The Tax Cuts and Jobs Act (HR 1), which was passed by the House, includes provisions that would place new tax burdens on colleges and students, impacting issues such as courtesy scholarships for employees and tuition waivers for graduate students, as well as endowments and charitable contributions. Drive down resources for student financial support, resulting in tuition increases. Impose a 1.4 percent excise tax on university endowments and repeal tax-exempt bond financing, leaving less money for scholarships. Effectively reduce the availability of higher education for many students, including those from historically disadvantaged groups. Limit deductions for high medical expenses and sunset dependent care flexible savings accounts for employees. 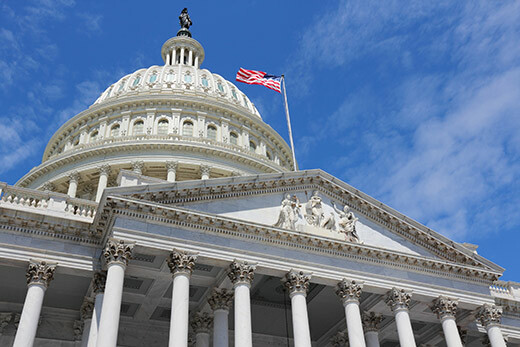 The U.S. Senate bill could possibly reach a floor vote this week, though several senators have publicly expressed lingering concern with a variety of its provisions. The letters from the University Senate and Faculty Council add to a growing chorus of concern already voiced by many in the Emory community. Earlier in November, Emory President Claire E. Sterk, Laney Graduate School students and representatives from Emory’s Office of Government and Community Affairs (OCGA) also engaged with lawmakers regarding the proposed legislation, and those efforts are continuing. The University Senate and Faculty Council voted to take action following recent presentations on the tax reform bill by Cameron Taylor, vice president of government and community affairs, and Jessica Davis, director of federal affairs. Taylor and her team have been deeply engaged with legislators, she told the governance groups, leaving “no stone unturned.” In its advocacy efforts, Emory has partnered with the Georgia Chamber of Commerce, the Laney Graduate Student Council, the Georgia Research Schools graduate student councils, the Academic Health Center (AHC) Working Group, and the Georgia Independent College Association, as well as the university's peer institutions nationally. On Tuesday, Emory joined in a letter sent by the AHC Working Group to majority and minority leaders in the Senate and House. The current tax reform proposals "could negatively impact our enterprises to the detriment of our patients, the clinicians we train and the neighborhoods around us," states the letter, which was signed by leaders of 15 of the country's leading academic medical centers, including Jonathan Lewin, Emory's executive vice president for health affairs. Advocacy efforts have also included the engagement of Emory trustees with lawmakers, meetings with Senate staff and coordination with professional academic associations and other universities. Laney Graduate School students have organized to make calls and write letters to their representatives and have also been featured in the national press about the potential effects of the proposed revisions on their educations and their lives. As the House debated the bill on Nov. 16, U.S. Rep. John Lewis (D-Ga.) had an Atlanta Journal-Constitution column by Emory Ph.D. student Jenny C. Bledsoe entered into the Congressional Record. These efforts will continue as the Senate considers its own version of what Taylor calls “the most sweeping tax reform in decades.” Once the Senate’s version of the bill is passed, the House and Senate versions must be conferenced into one bill, or the House could simply pass the Senate version and send the bill directly to the president, according to Taylor. “It’s estimated that the House bill would reduce benefits for higher education by $60 billion in the coming decade,” she said. To date, the Senate Finance Committee has already approved its version of the tax bill; on Nov. 28, the Senate Budget Committee also voted to pass the $1.5 trillion tax package, clearing the way for full Senate consideration later this week. The letters strongly urge lawmakers to continue to advocate against the repeal of protections on courtesy scholarships and tuition reductions and on tax-exempt bond financing, an added tax on university endowments, and to oppose limitations on deductions for high medical expenses and the elimination of dependent care flexible savings accounts. Taxing scholarships and educational assistance would negatively impact many Emory employees and their families. Taxing tuition reductions/waivers would negatively affect Emory’s graduate students and likely decrease the overall number of Ph.D. graduates, especially in STEM fields. A proposed excise tax on university endowments will shrink funding for scholarships. Limiting deductions for high medical expenses and sunsetting dependent care flexible savings accounts will increase financial burdens for many employees. Read the University Senate's letter to Georgia's senators, the University Senate's letter to Georgia's representatives, and the Faculty Council's letter to senators. In response to inquiries on how to share concerns with members of Congress, the OGCA team offers a letter template for adaptation. To determine your representative, enter your zip code here. The OGCA team encourages community members to use the language provided in the template in order to convey a clear, consistent message regarding issues of concern to higher education.